This Saturday ukulele fever will be hitting the South as Winchester holds its first ever ukulele festival. The event, which will see national and international performers turning up, will be held undercover at Winchester Rugby Football Club. From 10 AM to 11 at night the public can enjoy listening to live music, taking part in workshops and looking at displays from top ukulele manufacturers. There will also be an opportunity to perform with your own Uke the night before at a free for all open mic session, and those feeling extra confident can sign up for a performance slot the next day. Battle of the Uke Jams is something else for the audience to look forward to as six local bands perform in front of three international solo artists, including one of Britain’s finest Phil Doleman. The winner, announced later in the day, will receive the coveted ‘Golden Ukulele’, an £150 cash prize and have the chance to perform once more. Alongside drinks and refreshments available throughout the day, there will be free parking and camping facilities on site for caravans and motor-homes at a small fee of £10. Headline acts include, world renowned Blues artist Manitoba Hal from Canada, Scotland’s nu-folk singer songwriter Zoë Bestel and the French Swing Cabaret band Les Poupées Gonflées. Not only will acts from from around the world be on show, Hampshire based artists will also be showcasing their talent. These include the Winchester Uke Jam playing music spanning three centuries and Strumdiddlyumptious, from Portsmouth, playing a mix of contemporary covers. Professional player Ben Rouse who will be leading a workshop and performing with Strumdiddlyumptious says, ‘I think ukulele festivals show the diversity of genres that the ukulele can be used for and the jams and workshops demonstrate how easy it is to pick up a ukulele and learn how to play a few chords and, therefore, several songs within half an hour. The Hampshire Music Ukulele Band, a group of primary school players from across the county and part of the County Council’s music service promoting teaching of the instrument, will kick the festival off just after midday. Performances will then continue throughout the afternoon and into the late evening when the headliners take centre stage. Andy Martin, one of the event organisers, who plays with the Winchester Uke Jam is confident the day can help further promote the ukulele as an instrument worth playing, ‘Hopefully the festival will raise more awareness about the uke groups in the South and people will realise it’s not a toy but a serious musical instrument’. 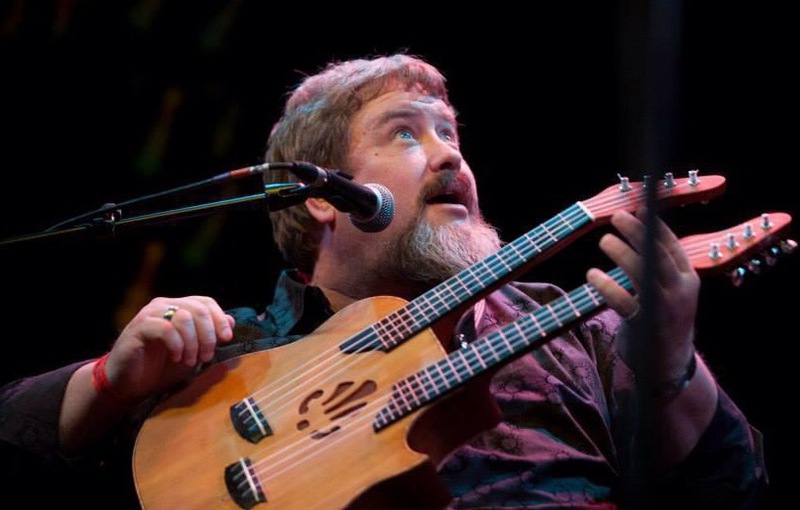 Tickets for the festival, at £18 each, or any of the workshops can be purchased on the day or at http://www.winchesterukefest.co.uk/tickets.htm. The event’s proceeds will go towards four charities, including Help for Heroes and Winchester Youth Counselling. 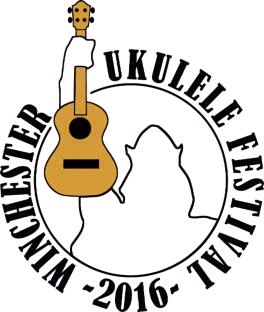 More information on the festival can be found at http://www.winchesterukefest.co.uk. Photo of Manitoba Hal, Canadian Blues ukuleleist performing at event.